This four-acre parcel is located at the edge of the central business district and is adjacent to the farmer’s market, a shopping district, bistro restaurants and natural trail system along the Rouge River. 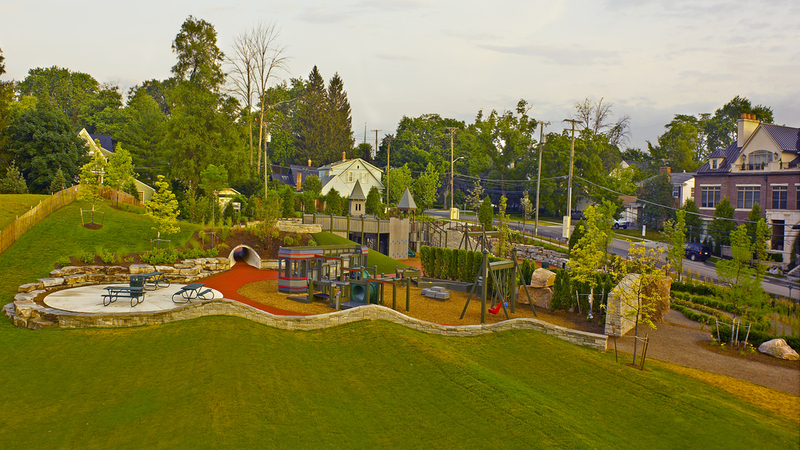 The purpose of this project was to develop the strategically located, but underused, property to a neighborhood park with the following features and benefits: community built playground, sledding hill, amphitheater hill for summer concerts, enhancement of the trailhead access and riverbank restoration. 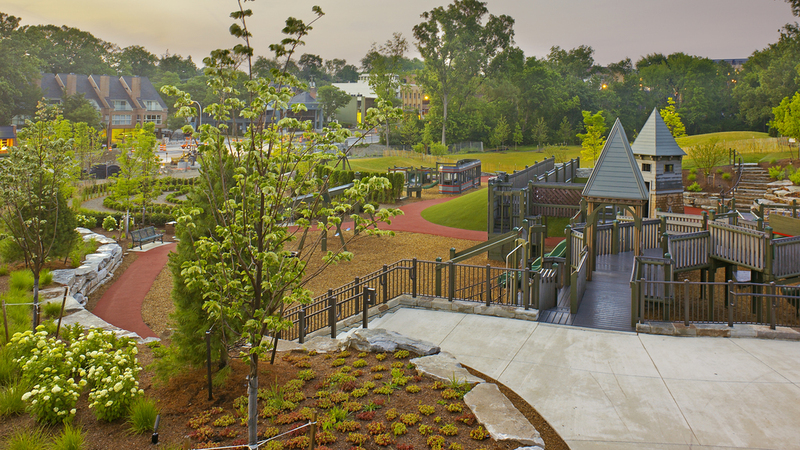 The park is now an important community landmark that is a magnet for play, concerts, walking and relaxation.